Peter has been voluntary chair, treasurer and trustee of numerous charities for over fifteen years and he has built several domestic houses and refurbished many others, including the Cambridge Advice Centre. Peter is a freeman of the City of London and is on the advisory board of a Social Enterprise in criminal justice. Riku Asikainen is an entrepreneur, angel investor and growth hacker. He started his first company while in high school, and sold it fifteen years later, after it had become Finland’s leading internet bookstore. Since then he has been a founder, active investor and board member in more than 35 companies. Riku has had several nice upswings, ten exits and one IPO, but is still looking for his first billion dollars. 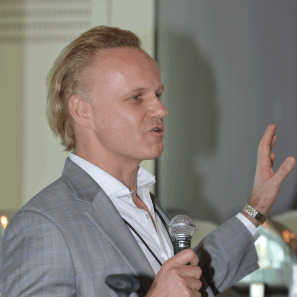 Riku Asikainen was one of the co-founders and Chairman of FiBAN (Finnish Business Angel network), which was awarded Europe´s Best Business Angel Network title in 2013 by EBAN. He is a proud Co-founder of Startup-foundation, the organization behind both SLUSH, Europe´s biggest tech conference and Startup sauna, a leading incubator program for the region, in which Riku currently serves as Head Coach. Riku Asikainen graduated from Aalto University School of Business (M.Sc, Helsinki) and was nominated as the Alumni of the year in 2014. Juan is running an impact investing fund in Deep tech & Deep science to fund IP, Proof of Concept and Spin-offs raising from the most universities, research centers, scientific and technological Parks. Christine Bjarkby is responsible for growth capital and business development within Connect Sverige. Christine has a broad experience from business development worldwide from large public global companies to small start-up companies. 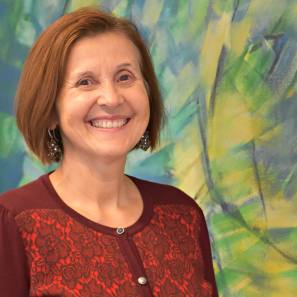 Christine has previously worked with investments as a representative of Invest Sweden, Entrepreneurship Network (Enterprise Network for Startup ICT) and Connect. Christine is and has been a board member of several startup companies and is herself a business angel. Christine will join the board of NBAN from autumn 2017. Connect matches growth companies with capital and crucial skills and contacts. Connect's network of more than 400 investors is spread all over Sweden. Connect works actively to develop its investment network at regional, national and international levels. Connect has a large flow of qualified growth companies seeking venture capital, arranging over 50 investment events across the country every year, as well as speed pitches and industry-oriented meeting places. As an investor, Connect Sverige members will have access to the digital marketplace GUST, where all the capital-seeking Connect companies are presented. Connect works to visualize the role of early growth capital in the ecosystem through debate articles, statistics and referral issues. Connect is a member of the Swedish Risk Capital Association and the European Business Angels Network as well as Nordic Business Angel Network. Albert has been at the forefront of the angel investor movement in Spain. In 2002, he co-founded and became executive director of the Business Angel Network Catalunya BANC, the first Spanish angel network, which he led. Additionally in 2006 he co-founded ESBAN, a private foundation to raising awareness and promoting angel investment and Business Angels Networks in Spain. Since 2003, Albert is member of the Board of EBAN. Albert has been appointed by the Parliament of Catalonia as member of the Advisory Board of the Catalan Institute of Finance, the public credit institution of the Government of Catalonia. During his career, Albert has gathered a profound knowledge of the entrepreneurship skills. As a consultant, advisor, coach or business angel, His experience in entrepreneurial field, over 25 years, has helped thousands start-ups and entrepreneurs to born and grow. He is co-founder (1986) and executive director of CPAC (Fundació Privada per a la Promoció de l’Autoocupació de Catalunya), an independent charity with a mission to help people and organizations to be entrepreneurs. Marcel Dridje is currently the SOPHIA BUSINESS ANGELS President & a Mentor at The Camp in Aix en Provence. A seasoned European Sales senior Executive, Marcel has substantial field experience helping IT and Telecom startups in the US and EMEA. 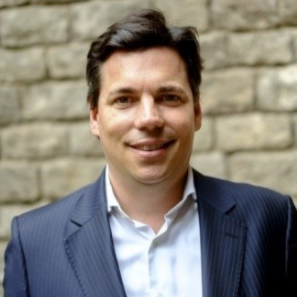 Marcel has a broad range of experience in all aspects of sales, marketing, communication and management with direct experience with Fortune 500 enterprises (IBM, Nortel, Lucent, Cisco, EMC, ALU) and startups (Quantum, Andrew Networks, Pluris, Corvis, Ascend and Airespace). During the course of his career he has held VP roles most notably as VP EMEA Corvis (first all optical router) where he grew the team and business to an outstanding success. 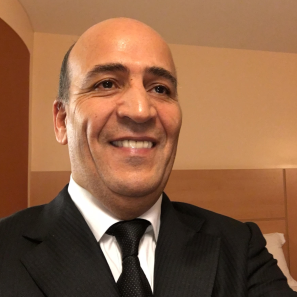 Of French-Algerian and British origin, Marcel launched his career after completing a BSC in Electronics and Computer Science from Portsmouth Polytechnic UK and holds an M&A executive program credentials from INSEAD. 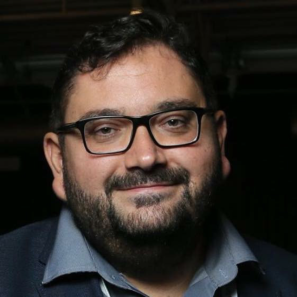 Vaelsys/ IVAS (France), Zetalabs (France), Faveeo (CH), Digitalarti (France), OnePulse (UK) and Cyberflowanalytics (Recently acquired by Webroot a leading US cybersecurity company based in Denver USA) are six of his star ventures. Professor Ketikidis is the Vice Principal for Research, Innovation & External Relations of CITY College – An International Faculty of the University of Sheffield, and the Chairman of the Management Committee & Academic Director of the Doctoral Programme at the South East European Research Centre (SEERC). He has over 25 years of experience in management, education, research, and competitive research funding with various networks established as a result of this experience. Professor Ketikidis has been listed in the Marquis´s Who´s Who, Publications Board in Science and Engineering, Eleventh Edition 2011-2012. He is a member of the International Faculty Administration Board of CITY College, which provides steer and leadership on the academic and development strategy of the College (1993-present). He was the Head of the Computer Science department of CITY College (1993-2001); Head of Continuing Education (1991-1993) at CITY College; He was also, a Project Leader at Sterling Drug Inc., responsible for all the phases of the Software Development Life Cycle to support Discovery Research at Sterling Drug Incorporation, Philadelphia, PA, U.S.A. (1989-1991); Database Administrator and Systems Analyst at the Hospital of the University of Pennsylvania, U.S.A. (1986-1989), and Research Assistant – Graduate Assistant at West Chester University, U.S.A. (1984-1986). Professor Ketikidis is the President of the Greek Computer Society (EPY) – Macedonia-Thrace chapter (elected 2008-2010); He has been elected as President of the International Society of Logistics – Chapter Thessaloniki (1999-2005) and from 2006 he is an Emeritus President of the International Society of Logistics; Scientific Advisor of the Management Board for the Association of Information Technology Companies of Northern Greece (SEPVE: 1998-present); Honorable Member of the Exporters’ Association of Northern Greece Management Board (SEVE : 2006present); Member of the Administration Board – Centre for the support of female employment and entrepreneurship ERGANI (2006-present); Member of the Prefecture Board for Enterprise and Vocational Training, Prefecture of Thessaloniki (2007-present); He was for many years an Expert (reviewer) of DG XIII (Telecommunications, Information Industries and Innovation) of the European Commission, and has also been involved in many European Information Technology projects funded by the European Commission (1992 -current). Founder & Partner of Gestluz Consultores, since 2014. Member of Risk Finance Advisory Group for Horizon 2020. Guest and opinion maker on Porto Canal TV. Board Member of EBAN – European Business Angel Network from 2014 to 2016. Founder & President of Invicta Angels – Porto Business Angels Association and Founder & Vice-President of FNABA – National Federation of Business Angels Associations, from 2007 to 2015. Shareholder Founder and President from 2010 to 2014 of Invicta Angels, SGPS and IA-FCI, Creative Industries. Executive Board Member of IFD – Instituição Financeira de Desenvolvimento, SA. from 2015 to 2017. Former Board member of several SME´s and private associations, and Consultant of Strategy, Business and Cities Competitiveness. Former Professor of Higher Education of Courses of Management, Commercial and Sales, and Financial Management. Master degree in Design for Sustainability, Postgraduate Degree in Political Journalism, Undergraduate Degree in Economics. John has extensive experience in start-up and growth businesses (three start-ups; one in the UK, two in Ireland and GM of a computer games company in Chicago). His first business was an Animation Studio in London focusing on Feature films, TV series and Commercials. The success of this venture led to his appointment as General Manager of a Computer Games company in Chicago. 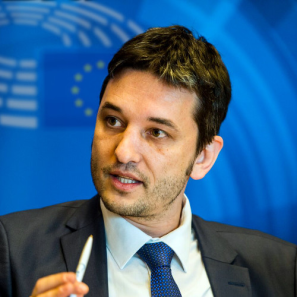 His domain knowledge is in the MediaTech, Digital Media, Software, ICT, Games & Animation sectors, but has also engaged in early stage Research (FP7, H2020 and the European Commission) and Space (ESA) technology sectors. Through his engagement with Dublin BIC, the Halo Business Angel Network, the AIB Seed Fund and Enterprise Ireland he has his “Finger on the Pulse” of entrepreneurial activity in Ireland and the funding requirements (Equity, Debt, Grant, R&D) for start-up and growth companies. John is also the Independent Chair of Animation Ireland and a board member of Filmbase. Selma Prodanovic is an internationally awarded entrepreneur, angel investor, and philanthropist. She is passionate about empowering people and creating the future. Named Startup-Grande-Dame by the media, she is famous for her ability to identify, create, and connect business potential. Selma is founder & CEO of 1MillionStartups, the global platform providing exposure and support to entrepreneurs dedicated to solving today’s grand challenges and the UN SDGs. 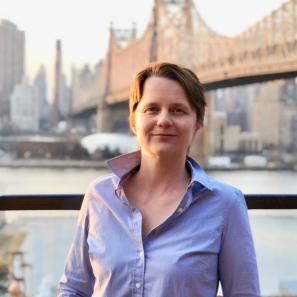 She is co-founder and Vice-President of Austrian Angel Investors Association, Board Member of European Business Angel Network (EBAN), and member of Global Business Angel Network (GBAN). The Business Angelina has a portfolio of startup investments, is lead investor at Rising Tide Europe 1 – impacting the next generation of female business angels, was an investor in the Austrian startup TV show “2 minutes – 2 million”, and served as a judge in over 100 investment panels. Since 2005, with her business developer Brainswork, she launched a dozen of “made in brainswork”-brands, supported over 400 startups, and advised numerous global investors, corporations and organizations. As an inspirational speaker Selma was over 1000 times on stage. Selma is happily married to her first love and proud mother of two fantastic teenagers. 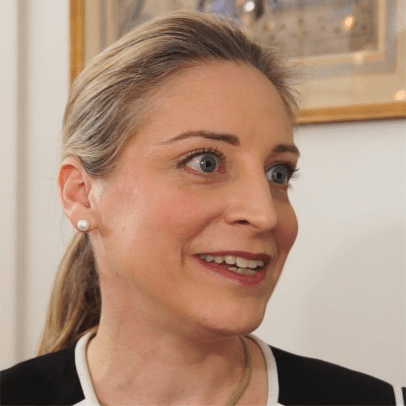 Audra Shallal is an expert in Women’s Entrepreneurship and Angel Investment in the EMEA region. She promotes Entrepreneurship and Angel Investing through Programs, Mentoring, Business Plan Competitions, Business Angel Networks and Women’s Economic Empowerment within the EU and the MENA region. 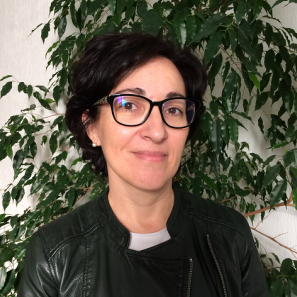 She consults for international organizations such as OECD, UNEP, UNIDO and the European Commission, and teaches courses on Entrepreneurship to the Grandes Ecoles such as ENSCP, X, ParisTech, CELSA. Audra has played a key role in launching the Enterprise Financing Network within the MENA-OECD Investment Programme which creates a unique platform to connect entrepreneurs, financiers, research bodies and policymakers in order to improve the conditions for financing entrepreneurship. She is used to hold the position of Vice-President of the Femmes Business Angels and currently serves on the Board of BADGE (Les Business Angels des Grandes Ecoles), the Advisory Board of Tenmou-Bahrain First Business Angel Company, and the Paris Executive Business Accelerator. She is also Chair of the Mentoring Taskforce within the American Chamber of Commerce’s Women Leadership Committee and is an accredited Mentor for the Cherie Blair Foundation for Women, the Tony Elumelu Foundation, and BiD Network. She is also a Member of the Board at NFBAN – Nordic Female Business Angel Network. Davorin Stetner is an entrepreneur, investor and an adventurer. He is the President & CEO at his KREATOR GROUP which consists of companies, brands, projects and investments. Among these accomplishments he is President of the Croatian Business Angels Network – CRANE and member of the Economic Council of the President of the Republic of Croatia Kolinda Grabar – Kitarović. Born on 10th of November 1981 in Zagreb, Croatia, Stetner launched his first company when he was 20. He is the owner of various businesses in the media & entertainment industry (Kreator TV, Kreator Film New York, Zimo digital), hospitality industry and others. Stetner is an active angel investor with a wide portfolio of investments in startup companies around the world, mainly in Croatia and USA. He made a world breakthrough with acquisition of Formula 1TM media rights for Croatia in 2011 when he alone negotiated and signed a contract with Bernie Ecclestone beating huge multinational companies. At 29 years old then, he thus became world’s youngest private F1TM rights holder. As he later said – Formula 1TM and the contacts and friendships he made there were his true breakthrough and lifetime value. Stetner has huge premium sports and television production experience. He worked, and he is working with the biggest names in the industry like Formula 1TM, Volvo Ocean RaceTM, MotoGPTM, Eurosport and others. He leads multiple media projects for more than 15 years. He built a numerous media projects and TV stations from the scratch. Motorsports is his big love. He founded Kreator Racing Team in 2012 to help young drivers to compete at the World stage. Kreator Racing made great results in Formula Renault, Karting and Motocross. This team now holds more than 11 national and international Championships titles and is one of the most successful motorsports teams in Croatia. Stetner was appointed to Croatian President Kolinda Grabar - Kitarović's Council for Economic Affairs. He has been active in the National Car & Carting Federation (member of FIA) first as a Board member and from 2017, as a Deputy President. His other passions include traveling and long expeditions. Stetner is an adventurer who has traveled throughout many countries of the world such as: the Ivory Coast, Liberia, DR Congo, Panama, Bhutan. So far he has visited more than 70 countries. He also has a Pilot License (PPL) and he is a skipper. Former Senior Advisor of the Elite Programme of the London Stock Exchange Group (LSEG), star of the Turkish version of the television show Dragons’ Den / Sharks Tank, Chairman of the World Business Angels Investment Forum (WBAF), Co-chair of the Global Business Angels Network (GBAN), Vice President of the European Trade Association for Business Angels, Seed Funds, and Early Stage Market Players (EBAN), President of the Business Angels Association of Turkey (TBAA), the World Entrepreneurship Forum Ambassador to Turkey and the Balkan countries, and President of Deulcom International. One of the top global speakers on entrepreneurship, innovation and angel investment invited by former US President Obama to speak at the Global Entrepreneurship Summit. Recipient of the European Trade Association of Business Angels (EBAN) award for the Best Individual in Europe Globally Engaging with the Global Entrepreneurial Ecosystem in 2014 (Ireland), 2015 (Netherlands), 2016 (Portugal) and 2017 (Spain). The only entrepreneur to be granted a personal audience with former President Obama at the Presidential Summit on Entrepreneurship in Washington, DC. 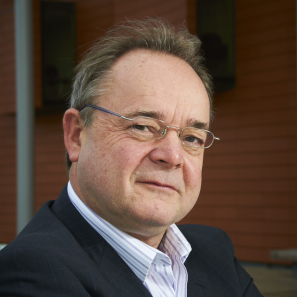 Developer of the world-renowned entrepreneurship theory, the Altuntas Start-up Compass Theory, researched by Sheffield University and used in numerous MBA programmes. Advisory board member of the South East Europe Research Council in Greece. Appointed as JCI Ambassador, following Ban Ki-moon, former Secretary General of the United Nations. Profiled regularly by leading international media such as CNN International and Bloomberg. A co-author of Planet Entrepreneur: The World Entrepreneurship Forum's Guide to Business Success Around the World, published by Wiley (2013). Author of Off the Bus, Into a Supercar! How I Became a Top TV Star and Celebrated Investor, published by Balboa Press (2014) and translated into Chinese, Croatian, Albanian, and Macedonian. Jesper Jarlbæk is an angel investor and professional board member of a number of growth businesses. Jesper is currently Vice-Chairman of DVCA (Danish Venture Capital Association) and Chairman of BA Copenhagen, Denmark’s largest and most successful Business Angel Network. He is also a member of VL7. In 2009, Jesper was awarded the “Business Angel of the Year” title by DVCA. Jesper Jarlbæk is currently a member of the Board of Directors of Bang & Olufsen A/S, an NASDAQ OMX listed company. Jesper has previously served on the board of 3 other NASDAQ OMX listed companies in Denmark and one US listed company. He is the Chairman of CataCap, a Danish PE fund, as well as a member of the Board of Polaris Invest III fund, the second largest Danish PE fund. Between 1975 and 2002, Jesper Jarlbæk was employed at Arthur Andersen, ultimately holding dual positions as Managing Partner, Denmark and Nordic Managing Partner – Assurance and Business Advisory. 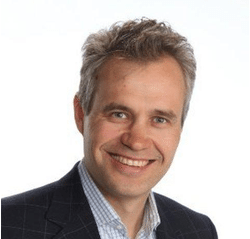 From 2002 to 2006, Jesper was Managing Partner of Advisory Services at Deloitte and, as such, one of four members of the senior management team. In both these executive positions, Jesper had bottom line responsibility for 1000+ highly qualified professionals. He consistently delivered growth and profitability well above the market and the closest competitors. In some years, organic growth exceeded 25% p.a. One of Jesper’s key challenges was building and maintaining a strong performance and corporate culture amongst highly motivated professionals. This task required building team spirit across personal skill sets, competencies, nationalities and experience levels. Larissa is an active early-stage investor privately and through the women’s’ angel program, Rising Tide Europe, Larissa has been nominated president of the Luxembourg Business Angel Network (www.LBAN.lu) and is engaged with the European Business Angel Network (EBAN). She is also the director and co-founder of Equilibre (www.equilibre.lu), a Luxembourg-based think-tank delivering research, advisory and advocacy for ‘gender complementarity’ at work – working with companies of all sizes, government bodies and associations to harnessing the power of diversity. Peter E. Braun has 20 years of experience as a serial entrepreneur and in various senior and top management positions in the aerospace and automotive industries. He has successfully launched two industrial companies and two finance-related enterprises, and completed two IPOs, one in the United States and one in Germany. 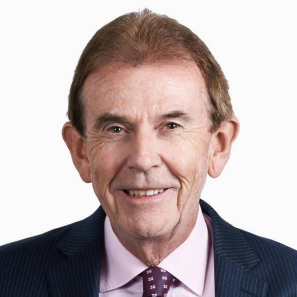 During his career, Peter acquired profound knowledge of the capital markets and the finance sector though his activities in Germany, Switzerland, Luxembourg, Canada, USA and Asia. He is a much asked for coach for start-ups, a compelling speaker and a sought after senior advisor and board member. In his most recent activity as a Co-founder and CEO of the Mountain Club AG, he created a peerless e-banking solution for business angel and private equity investments in collaboration with strategic partner UBS AG. Amparo de San José is CEO at IESE’s Business Angels Network since 2009. The network has reached a record investment year in 2017 with 32 deals and +4 million invested, added to complete a +190 startups portfolio. In 2013, IESE was recognized with the EBAN Award for Best European Business Angel Network. Previously, de San José served as consultant for InterAmerican Development Bank in Washington, and keeps occasional collaboration with the institution on entrepreneurship issues. At LATAM, she has been part of several consulting projects devoted to entrepreneurship and startup creation, and is a member of the XCALA initiative for the creation of business angels networks. Her study Accelerators and Social Entrepreneurship: Acceleration Models and Support Ecosystems in Latin America and the Caribbean has recently been published, along with three case studies conducted at a local scale and the AEBAN Business Angels Report 2016 (an annual report on the situation of business angel investment in Spain). Currently, she is the lead person behind Startup Europe Latin America and Women Angels for Entrepreneurs in Spain. José Herrera has been the President of AEBAN – the Spanish Association of Business Angel Networks – since 2015 and has extensive experience as a business angel. He is a partner at the law firm H.F Legal, specializing in Mergers and Acquisitions, as well as a member of IESE Business School’s Business Angel Network. 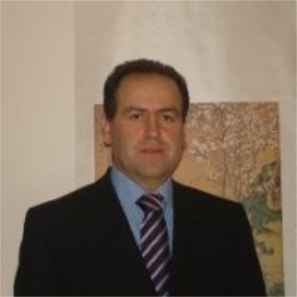 José Herrera holds a degree in Law and a Master’s in Economics from the University of Barcelona. Robert graduated from the Carlson School of Management MBA program and the Warsaw School of Economics as well as individual intercollegiate studies at Catholic University of Lublin, Lublin University of Technology and Maria Curie-Skłodowska University. Co-founder and Managing Partner at CobinAngels, business angel network, entrepreneur, investor. He is an expert in diffusion of innovation, business models and organization and development of new ventures. Mentor and member of evaluation teams in start-up contests, investor and coach in several innovative technology startups. Member of the supervisory boards and control bodies of a number of companies listed on the Warsaw Stock Exchange and the London Stock Exchange, including WorkService S.A. He has extensive experience gained while working on managerial positions in global technology companies such as Xerox, Hewlett-Packard, recently Atos. He supervised and was responsible for the implementation of a number of innovative projects in Poland like STORK EU, projects in collaboration with Atos Research & Innovation and ASE Scientific Community. 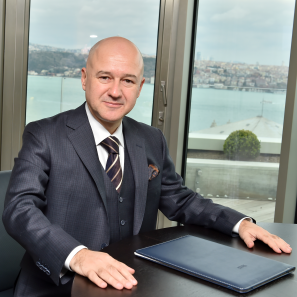 He created and supervised the implementation of strategies in the area of introducing new products and technologies as well as marketing and sales on the Polish and regional markets of Central and Eastern Europe, Israel, Egypt and Turkey. He also held a number of functions in industry and social organizations including President of Business Students Club, Member of the Board of Polish Chamber of Information and Telecommunications, Warsaw Executive MBA Alumni Association and French Chamber of Commerce and Industry in Poland. 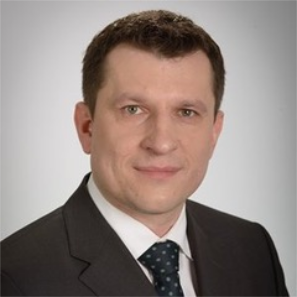 Initiator of the Business Angels Poland Confederation and a member representing Poland in Business Angels Europe Association and EBAN Space Executive Committee. 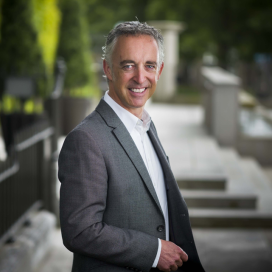 Michael O’Connor is the CEO of CorkBIC, a private-sector led organisation, specifically set up to identify and build knowledge-intensive companies based on promising technology usually involving international growth. Michael provides an integrated process for incubating and growing high potential technology driven companies. His previous experience was in manufacturing and sales startups with Raychem Corporation, before co-founding Intepro, a venture capital backed Irish IT startup. Vitaly Polekhin is the President of National Business Angels Association (Russia) and Head of SKOLKOVO Investor Club. He was recognized as Angel Investor of the Year 2015 by Russia Venture Awards. Vitaly is shareholder and Supervisory Board Member of Addventure, Texdrive (Genezis Capital) and Venture Angels venture funds. Vitaly holds a PhD in Philosophy, Executive MBA from Moscow School of Management SKOLKOVO, an MBA from Lomonosov Moscow State University and completed a number of programmes at MIT Sloan School of Management, UC Berkley Haas School of Business, Harvard Business School (Private Equity and Venture Capital programs). 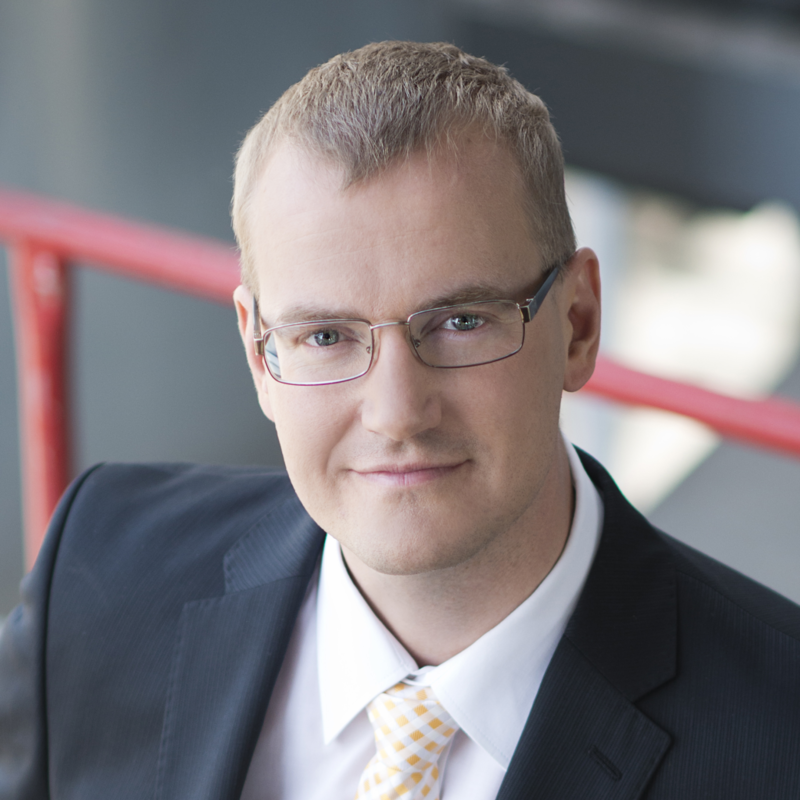 Priit Rohumaa has a master degree in Power Engineering from Tallinn University of Technology and MBA from Estonian Business School, lives in Tallinn, Estonia. Priit has worked in corporate finace sector - privatized Estonian second biggest power grid and has been 18 years in Estonian biggest Oil&Gas-Energy corporation Viru Keemia Grupp, where first 11 years he was CFO and last 7 years as a CEO. He is a board member of the EstBAN – Estonian Business Angels Network and has been an active angel investor for several years and has invested in over 10 startups (in the defence, machine learning, gaming, education, IOT, industry solutions). By Estonian President Priit is nominated as Chairman of the Council in Estonian Foresight Center next to Estonian Parliament. Priit is a Chairman of the Supervisory Board in Estonian Railway. Also supervisory board member in Tallinna Vesi - water utility company in Estonian capital. He was elected as Alumni of the Year 2014 in Tallinn University of Technology (TTU) and he is also a board member of TTU Alumni Council. Ian is a full-time business angel and founded Monte Carlo Capital in 2009 to invest his own assets in early-stage companies. Over the years Ian attracted a group of private co-investors and family offices and, as a group, invest between $500K and to $2M per company at seed/early series A. Ian also brings in follow-on investors in follow-on financings. Ian is regularly the lead investor and is involved at each step of the deal, from deal sourcing to due diligence, deal structuring, and often joins the board or the advisory board. Once invested, Ian brings in a global network of co-investors and advisors who help portfolio companies access clients, partners and expertise. Before founding Monte Carlo Capital, Ian was, until 2009, the regional managing director and head of capital markets in Asia for Commerzbank where he was managing all the trading floors activities in Asia, including equity derivatives, credit, precious metals, foreign exchange, debt capital markets, as well as the treasuries of HK, Singapore and Shanghai. 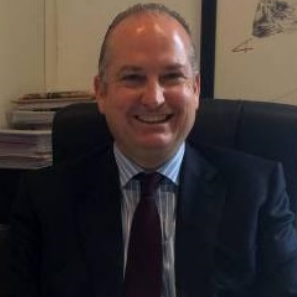 Ian started his career in 1993 and previously worked in Paris, London, Tokyo, Singapore and Hong Kong with HSBC, UBS and JPMorgan, holding positions in trading, sales and financial engineering. Paulo Andrez is an angel investor. 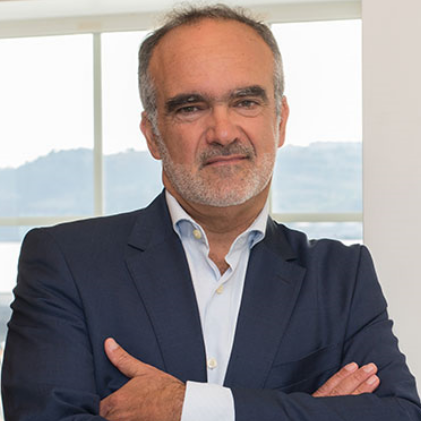 He is Vice-President of FNABA (Portuguese Business Angels Federation), President of Cascais Business Angels, and Member of the Board of DNA Cascais (BIC). He chaired (2010-2012) the EBAN Research Committee, which produced the first EBAN Co-Investment and Tax Breaks reports, in cooperation with BDO. 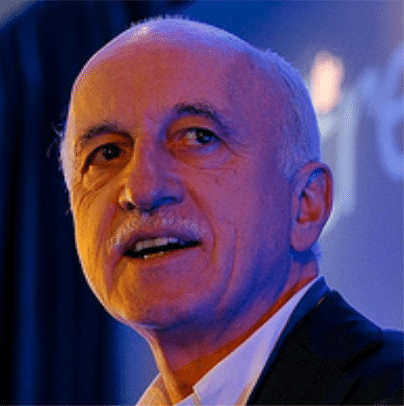 Paulo Andrez was the Chairman of the 2007 World Business Angels Leaders Forum (Estoril) that decided to create the World Business Angel Association. Within the scope of his involvement with FNABA, Mr. Andrez participated in the design of the first Business Angel co-investment fund in Portugal. In 2010 he also participated in the design and implementation of the first Business Angels Tax Break in Portugal. Paulo Andrez has experience as a serial entrepreneur and has created several companies in areas like IT software, training, real estate and industrial resins. In 2000, he participated as an entrepreneur (seller) in the IPO of Novabase (via Euronext), the largest national IT provider in Portugal, with more than 1900 employees and working in 33 countries. From this point on, Mr. Andrez became a business angel, helping entrepreneurs achieve desired results. He is an IT Engineer and has an MBA from Nova University in Lisbon. Peter Jungen holds an MBA from Cologne University, Germany. Starting his career in the industry, he became CEO of Strabag AG, Köln 1987, one of the largest European Civil Engineering Groups. After a successful turnaround of Strabag AG, he founded Peter Jungen Holding GmbH in 1991, which holds investments in various industrial and service companies. He is a Co-Founder of or Investor in numerous start-ups in Europe and in USA, including Idealo Internet GmbH, the leading German prize comparison shopping platform from Berlin. He is a Partner at the Halo Fund, Palo Alto. 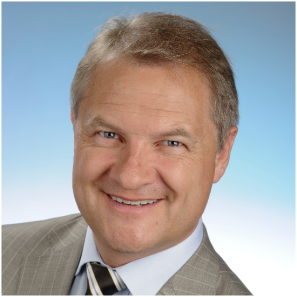 Peter Jungen is the Founding President of Business Angels Netzwerk Deutschland (BAND) as well as Co-Founder and President (2001-2004) of European Business Angels Network (EBAN). He is a member of the New York Angels and founding member of the China Business Angels Network (Cban). He is a Member of several Advisory Boards, e.g. Deutsche Bank AG (Frankfurt / Berlin) and Foster & Partner, (London), as well as a Board Member of the New York Philharmonic. Mr. Jungen is a Member of the IAC, Columbia University. He is the Chairman of the MENA-OECD Enterprise Financing Network, a Member of the International Josef Schumpeter Society and of the Mont Pelerin Society. Additionally, he used to hold the position of Chairman of the Center on Capitalism and Society at Columbia University. In August 1999, Peter Jungen was awarded the Grand Cross of the Order of Merit of the Federal Republic of Germany by its President. In September 2000, the leading German business weekly “Wirtschaftswoche“ named Peter Jungen one of the most important personalities to shape the future of the „New Economy“. Brigitte is the Founder of Go Beyond Early Stage Investing www.go-beyond.biz http://www.youtube.com/watch?v=-jJ4eA0Q2ts . Go Beyond enables novice & experienced, small & large investors, to access angel investing as an asset class through its unique platform, tools, training and expert angels. Go Beyond works with individual investors, family offices, professional groups/associations and corporations. Go Beyond operates in Europe and the US. Its team is comprised of seasoned business angels and is the subject of a Harvard Business School case. Brigitte is a Business Angel since 2003 and has received The European Investor of the Year from EBAN in May 2015. In 2017, Brigitte was selected in EY’s European Winning Women Entrepreneur program. In November 2016&2017, Brigitte is listed in Europe’s TOP 50 most influential women in the start-up and venture capital space and Top Women in FinTech. Brigitte is President Emeritus of EBAN, the European trade association for Business Angels and Seed Funds www.eban.org and Member of the Board of CTI Start Up www.kti.admin.ch . 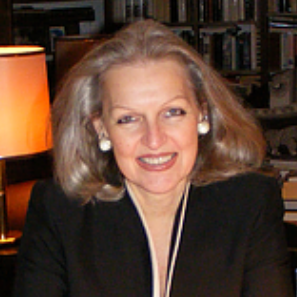 Brigitte is past Chair of Young Presidents Organization’s www.ypowpo.org (24k CEOs) global Angel Investing group. 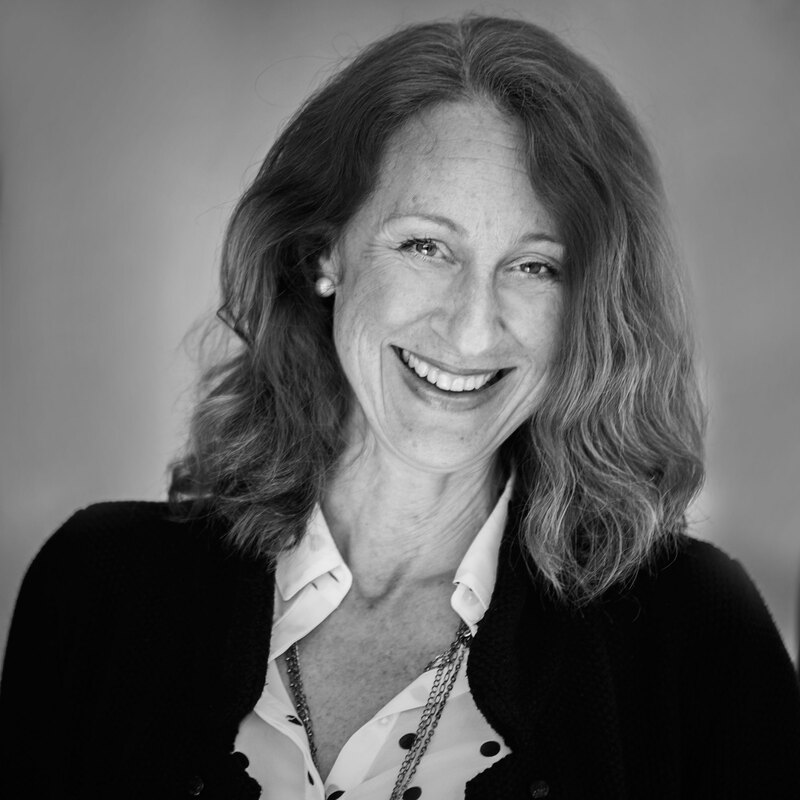 Brigitte Baumann has 20+ years of experience in bringing new technologies to market in the US and Europe . She was the CEO and Director of iWORLD Group, a VC backed, global developer of mobile content. She was Senior Vice President and General Manager Internet at American Express (Amex) Corporate Services. There she launched a variety of internet businesses including online travel (strategic partner of Expedia.com and subject of HBS case study) and e-Procurement. Prior to that, Brigitte spent three years as President for US and Canada of Gemalto, the world’s leader in smart card technology and applications to introduce smart cards in the North America. Before, she spent six years in different Vice-Presidential/General Manager positions in the UK, France and Switzerland at Amex. She also spent five years with McKinsey & Company Inc. as Senior Engagement Manager, in New York, Paris and Tokyo. She began her career in manufacturing and sales with Rohm & Haas, a leading specialty chemicals company. Under her presidency of EBAN, she co-founded MBAN, the Middle East Business Angel Network and ABAN, the AfricanBusiness Angel Network. Ms. Johnson is also the President of three investment funds and is the founder of the Global Telecom Women’s Network (GTWN), Global Board Ready Women (GBRW) and the VATM, the German Association of Private Telecom Operators.